With more advancements being developed in technology, it’s no wonder we’re seeing more and more security threats appear that can jeopardize our computer systems. Computers are the number one target for online security threats because of the data they possess. The following is a guide to the top computer security threats of this year. Denial-of-Service attack is referred to when the attack makes the computer resource such as web services or websites unavailable for the computer user. This type of attack generally involves saturation of the targeted machine with external communication requests. The computer then responds so slowly that it’s effectively unavailable to use. Botnets or zombie computer networks generally release these cyber attacks on unexpected victims. In cases such as this it’s call Distributed Denial-of-Service. The danger level of DOS attacks is high and usually targets larger businesses or government based institutions. When an attack occurs it can cause the business’s website to become unavailable for hours or days which can drop sales dramatically. Private companies may also receive blackmail attempts as well. • Make sure firewalls are setup and are up to date. • Incorporate a separate emergency IP Address block for separate route critical servers. • Configure your switches and routers to switch off when an attack occurs to limit network flooding. • Implement IPS based prevention precautions. Surviving a DOS can happen when you have proper precautions put into place to help prevent the attack from occurring in the first place. Phishing attacks is a common and highly dangerous cyberattack which can harvest and steal personal details such as passwords, names, and credit card details. Generally, in a phishing attack a fake webpage is designed on a server which is in control of the attacker. They design this fake website to mimic that of a real and trusted website and use it to collect sensitive information. Sites such as online banks, PayPal and eBay are the most common target. Phishing attacks are generally carried out by instant messaging and email. In the message it claims that a person needs to update their information immediately to reduce the risk of them having their details stolen. They will also have a link to their fake website to make it look legitimate. The sense of urgency is what generally gets people to give their information willingly to these criminals. The dangers of these cyberattacks is that it can cause people to be victims of identity theft and credit damage. Generally phishing attacks rely on people who aren’t educated in online scams to be tricked. To reduce your risk of being scammed don’t open emails unless you know the sender. The best way to do this is to check the email address that’s sent. Many PayPal phishing scams often don’t have PayPal written in the email address of the recipient, this is a dead giveaway. The other thing you can do is visit the actual legitimate site online and send a message to ask whether they sent it. Overall if anyone wants money from you, it’s a scam. Computer viruses are very common and very dangerous to computer users. They can infect the computer without warning or permission, and can spread throughout the network or the internet to removable devices. Sometimes called Trojans or worms, they can infect quickly and without you even knowing. The dangers of a virus can cause deletion of important information along with computer crashes. • Use heuristic algorithm to detect the behavioural patterns of viruses. 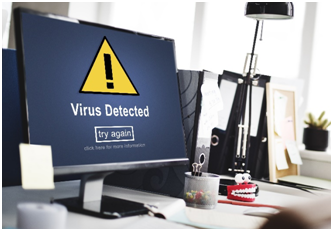 By keeping your security up to date you have a better chance of winning against dangerous virus infections. Spyware is often specific software which is installed secretly onto your computer without your permission. It often causes interference with the control of the computer. Spyware has the potential to steal important information like passwords and usernames and can redirect you to malicious websites. • Installreal time protection onto your computer through anti-virus software. This software can scan your computer regularly to block threats and stop spyware before it takes up residence on your computer. Using the latest anti-virus software and keeping it up to date is the best solution for keeping spyware off your computer. Keystroke logging or keylogging is when a software program is installed via a Trojan horse or virus onto your computer. This software then records the keystrokes of the user which is then transmitted to remote computers for analysis. Keylogging can capture important information which can be a serious threat for anyone who is on the computer. • Making sure your firewall is up to date on your computer. • Installing the latest antispyware software that can detect keyloggers and remove them. • Installing anti-keyloging software on your computer which is specifically used to target, detect and remove keylogging software. Keystroke logging is dangerous because it can steal information from you causing identify theft. Botnet or Zombie Army is a collection of bots or software robots that run tasks automatically over the internet. Botnets general run dangerous viruses including Trojan hoses, worms, or backdoors and are used to launch DDoS attacks against specific websites. 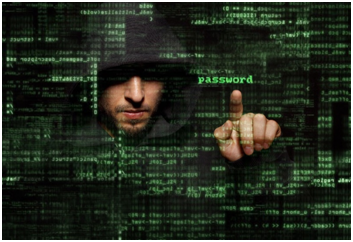 Botnets scan websites and use their weak passwords and vulnerabilities to infiltrate them. Botnets have the ability to steal your computing resources which can degrade the system performance. Botnets are very hard to protect against but generally requires the focus on detecting them through trial and error. Keeping your internet security up to date will also help to minimise the effect. How Can Your Computer Become Infected? • Not reading a pop-up or accepting it to remove it from the screen. • Downloading infected software from unknown website sources. • Opening email attachments from unknown email recipients. • Inserting an infected disk or USB stick into your computer slots. • Not keeping your security program updated on your computer. • No security program on your computer. • Participating in illegal downloads or other online activity. • Through downloading and watching videos which have been infected. These are just the more common ways your computer can get infected. By taking the time to update your security and read anything that pops up in front of you, you have a higher chance of reducing your risk of a cyber-attack occurring. What Damage Can Computer Security Threats Cause? All these things and more can be done through a computer security breach. This is why it’s important to protect yourself from these dangerous cyber threats as best as you can by implementing the best security software available. Computers are targeted every day cyber-attacks. By knowing how you can be affected you have the ability to really keep yourself protected during an attack. 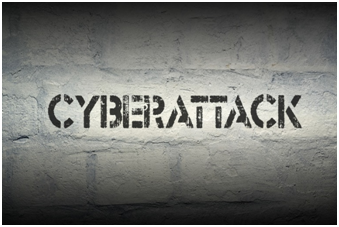 Have you been cyber attacked before? Bill is an IT consultant who initially started out as a computer programmer within the finance industry maintaining and developing large applications. Today Bill is the owner of a Jim's Computer Services franchise in Drouin. He works with small to medium businesses so they can get the most out of their technology, what they want to achieve, and what they own in today’s world. Message: I hope that you have enjoyed '6 Most Dangerous Computer Security Threats To Watch Out For In 2019' article on Tips2secure. However, if you want me to deliver more items, then please share my post. You can use Social Sharing Widget provided at the end of every post. After all, Sharing is Caring!